My 2017 Honda Pilot supports Android Auto and Apple's Car Play on its "infotainment" system with a 9" touch screen. 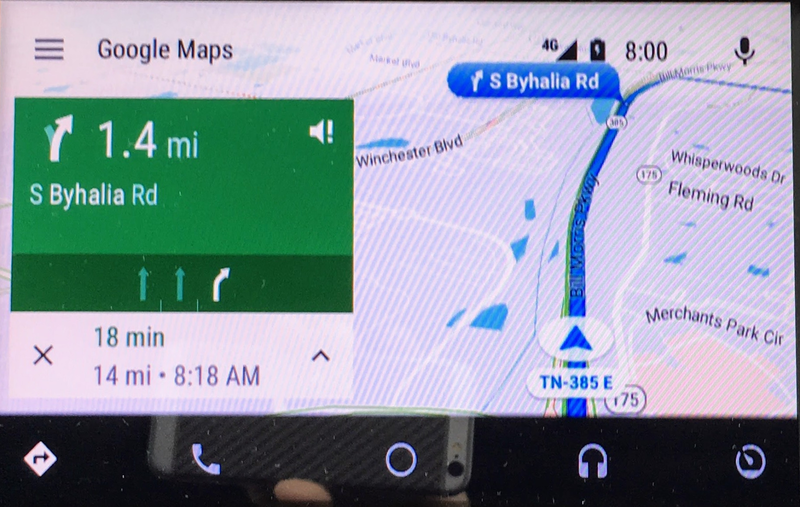 Overall the infotainment system is confusing and the smartphone support doesn't mitigate that. The Pilot has a specially designated USB port for smartphones. When you plug the smartphone into this port the car app automatically launches. I bought a USB cord that supports both microUSB and Lightning connectors. I've played with both Android Auto and Car Play. While generally similar in function, as expected, they differ greatly in execution. For example, when Car Play launches the iPhone screen is still usable. You can still interact with the screen. 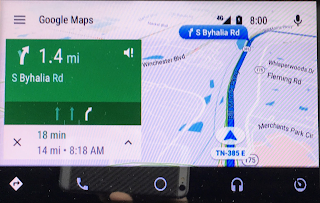 On an Android when Android Auto launches the screen goes blank and the only way to interact is with the Pilot's touch screen. On the iPhone apps have to be specifically designated as enabled for Car Play. This results in that you can only use Apple Maps for navigation and not Google Maps. 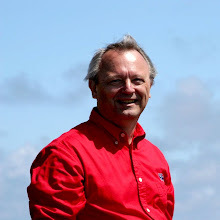 On an Android phone there is much more flexibility. There is a list of apps available in each category. In the audio section on my phone you can choose from Google Music, Pocket Cast or Tune In. But most of the time I want to just listen to the radio. It took a little exploring but you can do that and the setting persists over turning the car off and on. What I did is after the car app launched, press "Home" on the Infotainment system then choose "Audio". Press "FM" and the radio will begin playing. 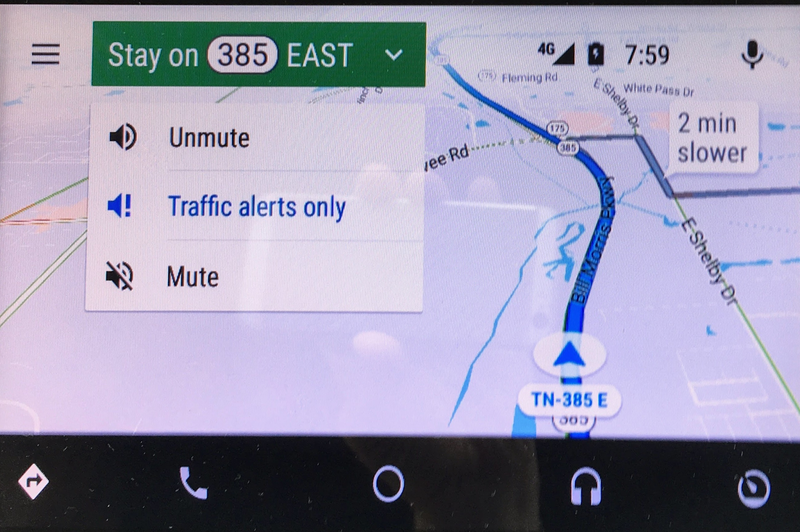 The car app will still override with navigation prompts. I played with both Apple Maps and Google Maps for navigation. Apple Maps is, well, Apple Maps. To my surprise the first time I used Apple Maps it cautioned me about traffic congestion ahead of me without my giving it a destination. Google Maps does that all the time but I wasn't expecting Apple Maps to do that. That is about the only surprise I got from Apple Maps. 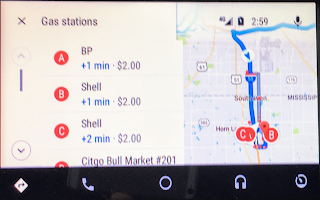 Comparing to Google Maps, Apple Maps doesn't give lane directions on upcoming turns, doesn't do pinch to zoom, and doesn't use the Pilot's dashboard display (more later). I probably don't need to tell you that Apple's directions still aren't as good as Google's. My daughter lives in a neighborhood with a street that has been closed for a decade or more. Apple Maps insists on routing visitors to that closed street. As you approach a turn Apple Maps presents a redundant representation of the upcoming turn. I couldn't figure out why until I used Google Maps. 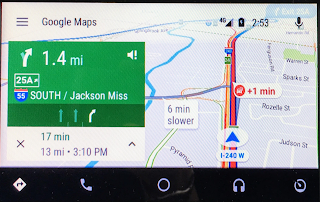 When that same event occurs Google Maps sends that mini representation to the Pilot's dashboard where the mileage or tire pressure is displayed! How awesome. 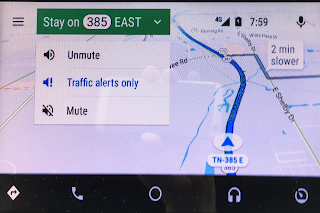 When using navigation on Android Auto you can mute the navigation prompts. But even better you can mute the navigation prompts EXCEPT if there's a traffic alert. 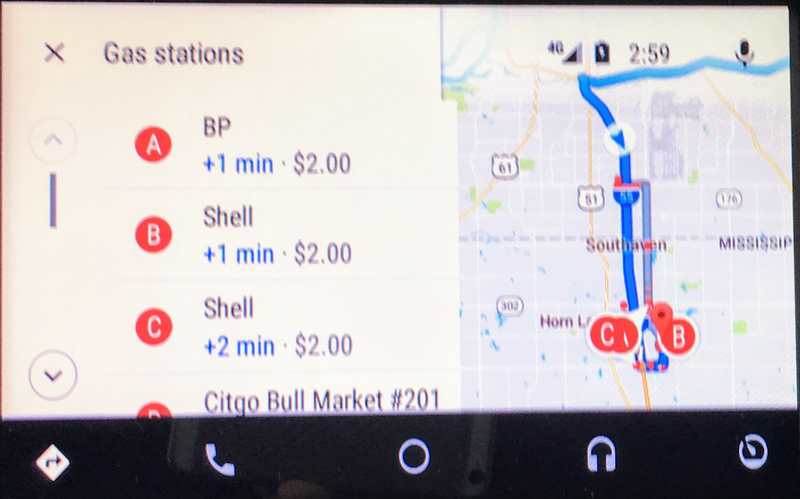 And just as a bonus Google Maps will show you gas stations and prices. I've liked using Android Auto so much that I've added a line to my cell phone plan and left my old Moto X in the Pilot all the time.